This season, I’ve been giving my children Herbs for Kids' Eldertussin Elderberry Syrup — specifically formulated for young ones. This sugar-free, synergistic blend of herbs is a natural tonic for colds, flus, and respiratory infections. It is especially good for nagging coughs that make it difficult to sleep at night (thanks to the relaxing effects of the cherry bark and chamomile). Additionally, the cherry-berry flavor means minimum squirming when it comes to taking the recommended dose. To give you an idea of what’s going on in this product, here’s a breakdown of the included herbs (and how they work). Used for centuries to provide nourishment and fortification of the immune system, these deep violet berries have antibacterial and antiviral compounds. Clinical trials have shown elderberry to reduce symptoms and duration of the flu as well as the common cold. Wild cherry bark is an antispasmodic herb that relaxes the respiratory system, opens the airways, and eases the cough reflex. In other words, this herb helps to calm irritated or unproductive coughs, making it excellent for respiratory infections where airways are constricted and there is a great deal of congestion. This amazing herb dries congestion in the respiratory system and allows expectoration (a.k.a. expelling built up mucus). Wild cherry bark also helps to quell inflammation in cases of chronic sinus inflammation and allergies. This flower extract has an overall soothing effect on the mind and body (it is a nervine and antispasmodic herb). It calms stress, nervousness, and relaxes tension in muscle lining of our organs. Chamomile has been known to support a calm disposition during the day and to promote a restful sleep at night. This herb functions similarly to wild cherry bark by soothing irritated respiratory tissue, relaxing the respiratory tract (opening the airways), thereby facilitating the discharge of trapped congestion. Echinacea galvanizes the body’s immune response partly by directly activating immune cells that destroy invading pathogens. It is shown to reduce the severity and duration of cold and flu, and is especially useful in cases of respiratory infections. It also has protective effects against both bacterial and viral attacks. As always, come to Health Nut Nutrition and talk to a knowledgeable whole body specialist about the natural products we have in stock to help keep your family healthy and happy. 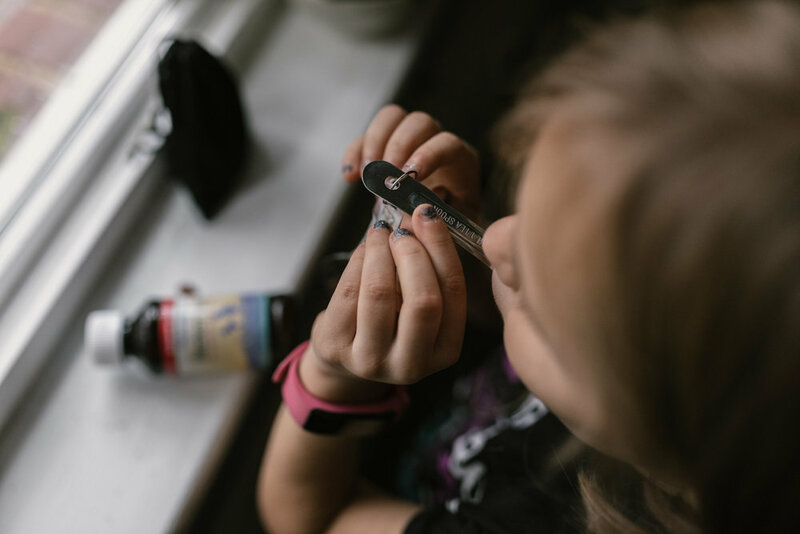 Have you tried Herbs for Kids' sugar free Eldertussin Elderberry Syrup? We’d love to hear about your experience in the comments section below.